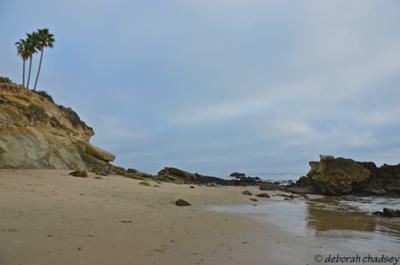 I recently discovered Heisler Park in Laguna Beach. 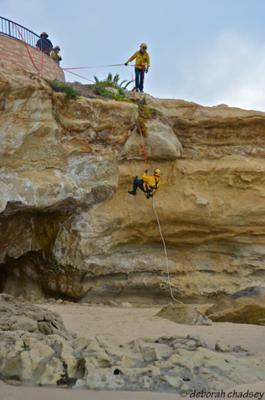 Its natural beauty, made accessible by the City of Laguna Beach through its walkways and stairs, is a wonderful setting for rest and relaxation, and for restoring a weary soul. But it also serves a very practical purpose, as I discovered yesterday. 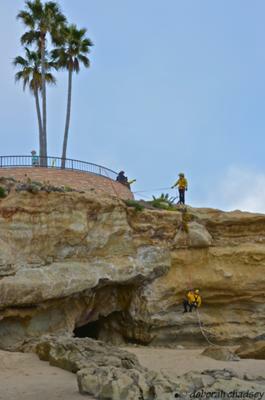 The Laguna Beach Fire Department uses the cliffside to practice cliffside rescues (apparently of daring but not-so-capable people who venture beyond their limits, or of their poor dogs!). Let me express my appreciation and utmost respect for the dedicated firefighters of Laguna Beach and its surrounding Orange County neighborhoods. I hope that I personally will never need your services, but I breathe easier knowing that, if I ever did, you would be there -- and, you'd be prepared and well-equipped! Join in and write your own page! It's easy to do. How? 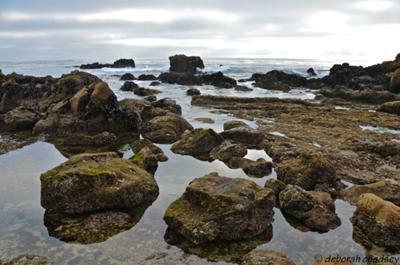 Simply click here to return to Heisler Park.